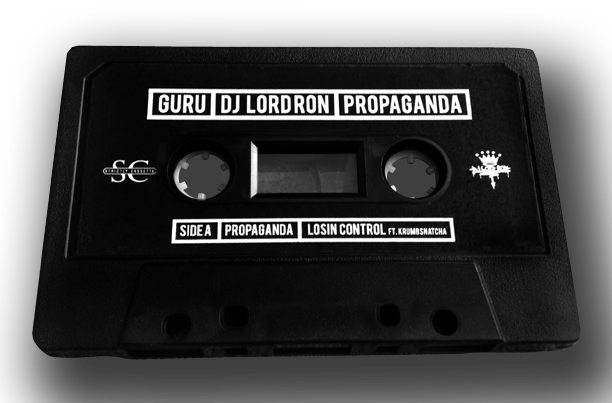 DJ Lord Ron is the first and only West Coast DJ/Producer to work with Guru. That in itself speaks volumes. It was an honor to work with Lord Ron and do this project. When the opportunity came up, we felt that it was only right to resurrect these lost tracks and give them the proper attention. Check the story on how these tracks came to be. 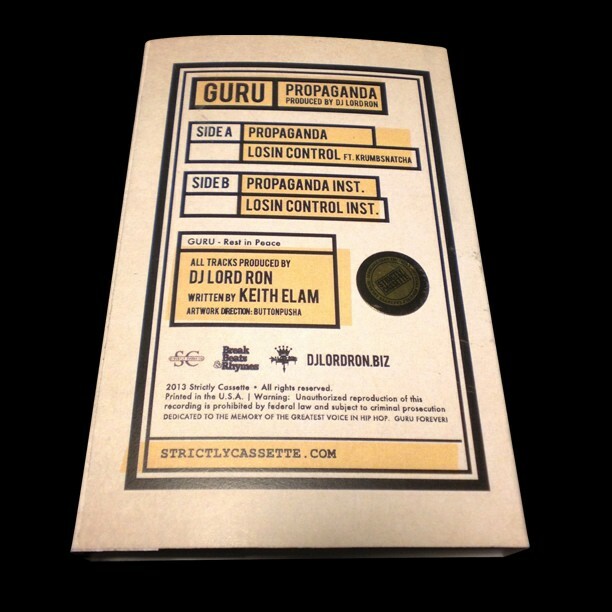 On another note, you can pre-order GURU - Propaganda | Produced by DJ Lord Ron though our SHOP. This is one of the first Cassette Singles released since the 90's. Don't miss out on this one. (SC) Tell us how you linked up with Guru. 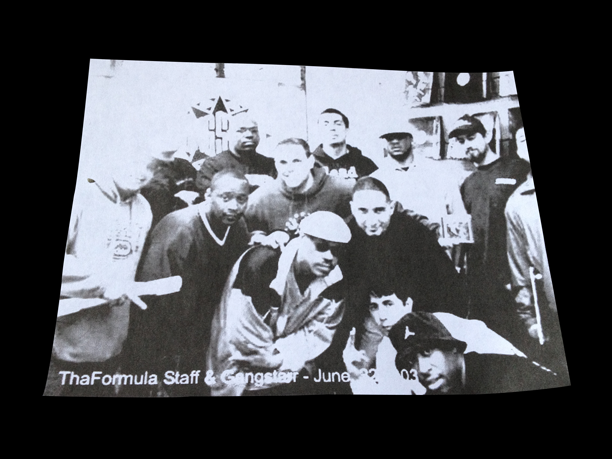 Back in late winter of 2002 Med of ThaFormula.com (Big up to Med & JToThaI) was doing a Gang Starr Foundation interview in the style of a series. Med had just did DJ Premier's & Jeru Da Damaja's segment separately & Guru was up next. Gang Starr had a show in Anahiem in early 2003. Med & I went to their hotel to finish the interviews with Krumb Snatcha, Big Shug & Guru. While he was interviewing Guru in his hotel room. I was reading a magazine & I popped in my CD of beats just to have music playing while Med was handling his biz with Guru. As the beats were playing, Guru stopped the interview to ask whose beats were those. Med told’em they were mine. Guru looked at me and said they were dope. Guru gave me his email address & said we will do something. I didn’t believe Guru cause he had the best producer in hip hop in DJ Premier & Gang Starr didn’t use outside producers plus my beats were no Jazzmatazz material so I’m thinking this dude is just bullshittin’ me. 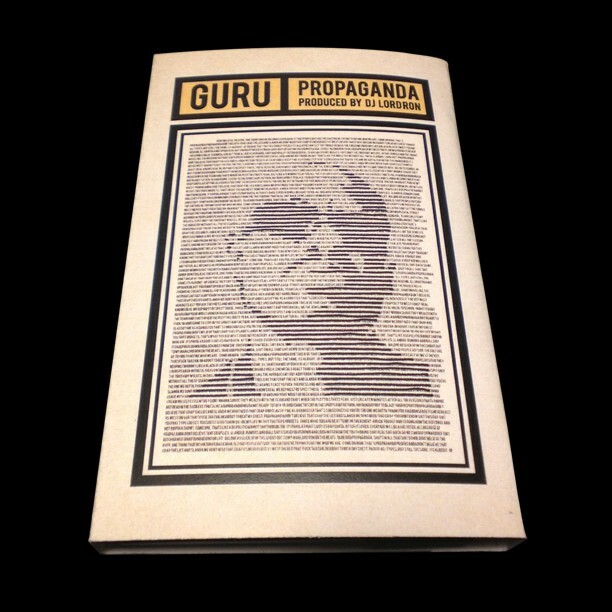 Guru came back to LA that Spring of 2003, emailed me and we chopped it up through emails for a few days about music business. He gave me the address to his hotel in West Hollywood. I went to his hotel and played some beats and he started choosing which ones he wanted. That’s basically how I met Guru. At that time & over a period of time. We conversed about our seeds, our families, the music industry which he was very salty with at that time. 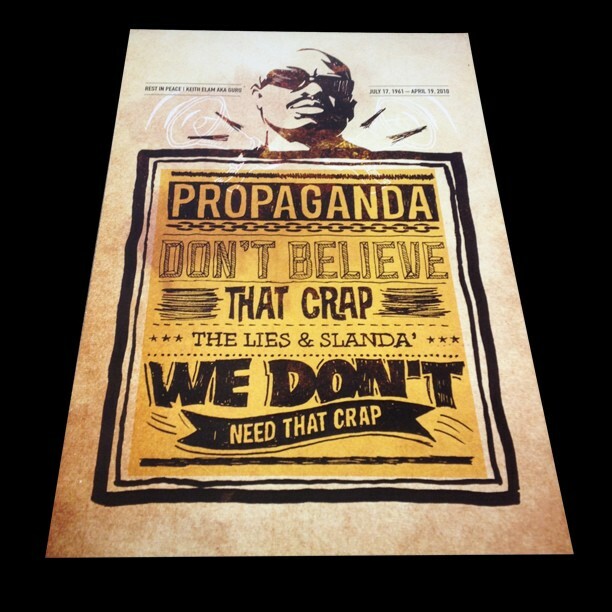 Guru was a year older than me so we had a common respect on how we viewed things in life. He valued my friendship more than the music. I still have that email from him saying those words. And of course I valued his friendship. He was a real dude. Not fake or anything. No ego. He was real cool like jazz. 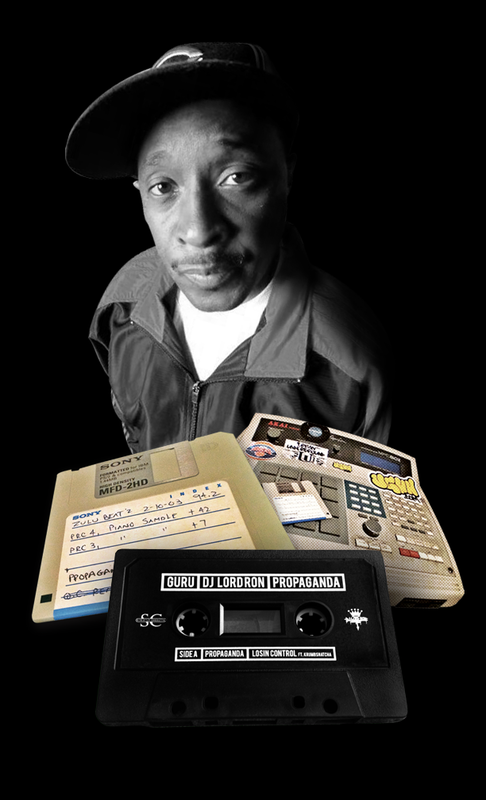 (SC) What was it like to work with one of Hip Hop's greatest legends? It was a honor for me. Gang Starr has always been my favorite group ever. Guru was always my favorite MC ever. And to work with him is just pure luck of being in the right place at the right time. 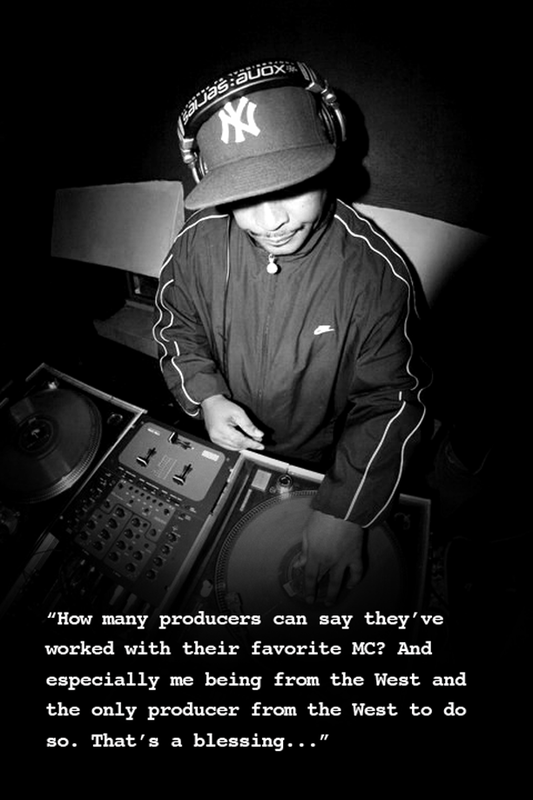 How many producers can say they’ve worked with their favorite MC? And especially me being from the West and the only producer from the West to do so. That’s a blessing. I will always up hold those memories. The recording process at Wishing Well, my cousin’s Mike Wells studio was easy. Once Guru got the weed smoke from my cousin K-Yo. He only asked for a pen and pad. He had already chosen the two beats he wanted to track that night. I played the beat from my MPC-60 II and he started writing. I let him be but would come back in the room to see how he was coming along and he had a concept and asked me what I thought. When we were recording “Don’t Start Nothin." Guru wanted to adlib in the voice tone like Kokane. He said DJ Premier preferred the vocals to be dry without adlibs. I told Guru I’m not DJ Premier and let’s try it and if it sounds dope. We would keep it and what not. Mike and I said it sounded dope. We left it in there and Guru was pleased with the recording. I respected how he would asked how did he sounded. And I took pride in saying do this part over but Guru is a top notch professional. He respected my cousin Mike who engineered both sessions. Guru gave Mike a shout out on one of the jointz. He recorded his vocals to “Don’t Start Nothing” that night & then he came back another time to record vocals to “Propaganda." I own the masters to both recordings. (SC) Can you tell us any memorable moments you had with Guru? When we hit the clubs. He made sure I was taken care of. He would introduce me to everybody that was trying to holla at him on some personal or business. Even if I was across the room doing my thing. He would send somebody to come and get me and introduce me to people. I thought that was dope and appreciated it. I’m not a star struck dude though. He asked me another time about taking me on the road with him as his tour DJ. I was with it but by then Solar wanted a DJ with a bigger name to hit the road with them. DJ Doo Wop became their tour DJ. Just for Guru even asking me to go on the road is an honor to me. No one can take that away. 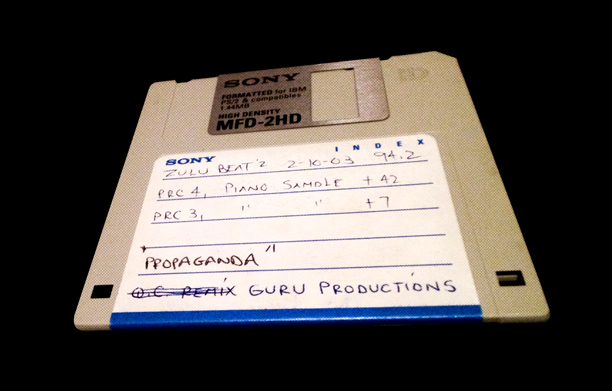 Guru respected me as a producer and a DJ. He told me I had my own style but similar to DJ Premier and that my beats were consistent and being consistent in the music business was important. I heard those very words from an artist who knows the in and out’s of the game. Far as I’m concerned. I made it cause Guru said it. 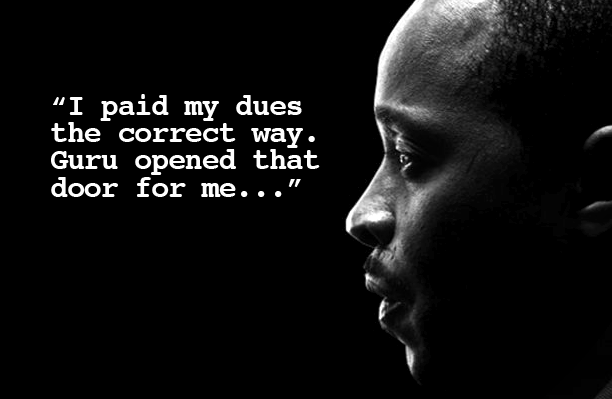 I paid my dues the correct way. Guru opened that door for me. (SC) You guys knocked out like 3 songs which you independently released. Were these tracks supposed to go towards a future Guru album? When we got cool. By then I had his Skytel number and eventually his mobile numbers. We would converse about me being one of his producers for his ill Kid imprint cause he wanted to rock with that. I didn’t hear no talks about 7 Grand records until later on, but our works would be released through ill Kid records. Guru had chosen plenty beats from me. Beats he had chose for Big Shug, Krumb and him self. I assisted Guru in the development of his website which was Gurugangstarr.com (not active) and it was designed and handled daily by my peoples name Milan outta Europe. That’s how I met Krumb Snatcha, who I met first through Milan. Milan was telling Krumb about my beats. Milan did my website and Krumb’s. Big up to Krumb and Milan. I just know Guru was getting his mind right to tap into the internet. Ill Kid was to be part of that and my music too. I was not nor wanted to be a part of 7 Grand records. That was him and Solar’s thing. Those 3 tracks of ours were shelved cause Ill Kid was put on the back burner and the two of them focused their energy on their new, at the time 7 Grand records. Guru and I last conversed in 2005. We had peace with each other. I wished him all the best and he said the same thing to me. I have emails to show and prove. (SC) What's next for DJ Lord Ron? What should we be checkin for? Continue to spin on radio with Breakbeats & Rhymes. Big up to Rebels, MP & Cheddy plus Esco & Leggo. 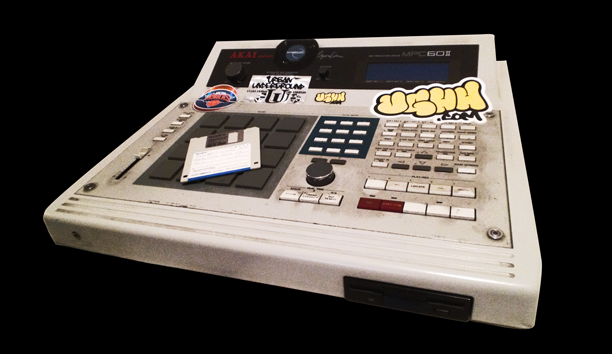 Continue to drop these free mixtapes with Preserving The Culture & big up to A-FS. The Sinister Theory album is coming with Wildelux which will feature John Robinson & Derek Strong. Big up to those 3 fellas. I have joints committed on NC Abram, Yeski, Aliso Black & a project combined with super groups in Angelz Inc., & Tabernacle MC’z. Big up to all of those names mentioned. I will have 45’s & 12” releases but won’t speak on that til it’s time. Big up to Strictly Cassette and looking forward to future releases too. That’s it for now. (SC) Last shouts or comments? Catch me live and I’m available for bookings. Hit me at Twitter @djlordron Thanx for this interview. Big up to Gurutributes.com, my Partners N’ Rhyme family, Rough Camp Productions family, Storage Room Entertainment with DJ Double KK & DJ Charlie D, Lil Dap, Melachi, DJ Premier, Krumbsnatcha aka K.S., Bad Fame, LA Mixmaster DJ Ralph M, Dirty Crates, Pop Culturez, Strictly Cassette, Urban Underground Weekly & shout out to those for the true support. I appreciate you sincerely.